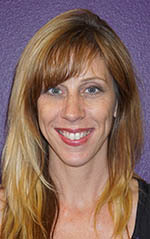 The world was not at peace last summer when Susannah Keita, director of the Dance Department in the College of Fine Arts and Production, and her faculty chose “Pacem in Terris” — “Peace on Earth” — as the theme for the Grand Canyon University Winter Dance Concert. It certainly is not now. So what better opportunity than this, and as Christians around the globe celebrate the birth of their Savior, to remind us that in the words of Pope Francis, “There can be no real peace and harmony if we fail to work for a more just” and supportive society. Students in the Ethington Dance Ensemble will perform 10 pieces choreographed by faculty and guest artists for “Pacem in Terris,” at 7:30 p.m. Friday and Saturday in Ethington Theatre. Click here for tickets. “Pacem in Terris” aligns with the philosophy of COFAP’s dance education program, which teaches students to value intercultural communities and to avoid generalizations about any person or group of people, she said. The concerts will feature works by guest choreographers Jenny Showalter, a former GCU faculty member and co-artistic director of Treeline Dance Works, and Gigi Torres, founder of Essence, an all-female dance troupe. Showalter’s piece, “Jabber,” will feature all seniors, the first time the Dance Department has done that. It likely will become a tradition, Keita said. The upbeat, hip hop influences in Torres’ “Impossible” are something K’Lynn Flores would have loved to perform. Instead, the GCU dance education junior was selected by Keita to be the stage manager, which is giving her firsthand experience with skills that she’ll need in her own classroom after graduation. Flores, who also has danced in a half-dozen shows and choreographed for another three, knows the concerts will represent not only COFAP, but also the University, a responsibility she has taken seriously. The concerts are dedicated to former GCU dance student Nadia Ponce, who recently died in a car accident.